Fine Grain's Bowden and Sheffield iPad cases are handcrafted, protection bliss. These one-of-a-kind stylish cases have a rigid, protective hard shell design with a side loading, ultra-soft felt lined compartment that fits both the new iPad 3rd Gen as well as the iPad 2 and offer complete protection. Both the Bowden and Sheffield cases have the same design concept with the exception of having different materials. 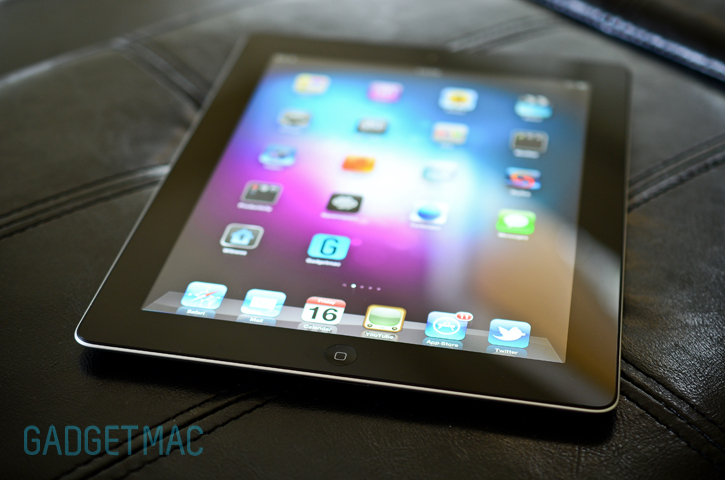 Both feature a magnetic closure system in order to keep your iPad secure. The Bowden (above), is the prestigious model milled from aircraft-grade aluminum, bead-blasted and hard-anodized for a long-lasting, Apple gadget-grade finish. The Bowden also features your choice of hand finished walnut or cherry hardwood trim and black or brown full-grain, chrome-tanned leather. The leather is said to be of the finest quality available, and will naturally wear with use, adding to the unique, natural look of the Bowden. The Sheffield case on the other hand, is made of milled polycarbonate and comes with your choice of either hand finished cherry or walnut hardwood trim. The Sheffield's cover is cut from 100% natural wool felt, which is incredibly strong and also repels liquids. The Sheffield's bread and butter feature is its ability to be used as a white dry-erase board. This makes the Sheffield perfect for anyone who needs to take temporary notes or sketches without the hassle of carrying around a separate notebook. Unlike the magnetic leather cover on the Bowden, the felt cover can also be used as a stand for propping your iPad at an angle suitable for typing. There isn't much time left to pre-orders these unfortunately, so you better hurry if you like what you see. Fine Grain's Bowden case is available for $120, and the Sheffield at $100. Thanks for the tip, Mitch! Logitech does what Logitech does best. It keeps on making keyboards, more for the iPad. After releasing the Ultrathin Keyboard Cover, Logitech has just introduced its Solar Keyboard Folio, a Bluetooth 3.0 keyboard folio case for the iPad 2 and iPad 3rd Gen that employs solar panels as sensitive as the ones Logitech uses on its K750 solar keyboard for the Mac and PC that can provide power from indoor and outdoor low-light conditions and lamp lights. The Solar Keyboard Folio features a built-in rechargeable battery that when fully charged, will last for two years with average daily use. 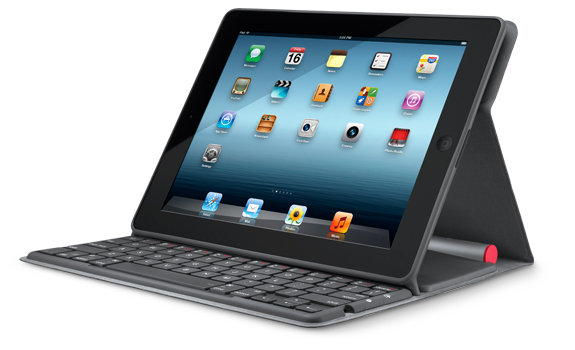 Logitech's Solar Keyboard Folio also incorporates the magnetic on/off for instantly waking and putting the iPad to sleep, and folds open and can be positioned in two viewing angles best for typing and viewing pleasure. You can pre-order the Solar Keyboard Folio right now for $129.99, and it'll be available in the US and Europe later this month. Miniot has come a long way since it has released its first Smart Cover replacement, the Miniot Cover, made entirely out of wood. Miniot has introduced its newly designed Miniot Cover Mk2 featuring a new and improved design that is compatible with both the new iPad 3rd Gen and the iPad 2. The Miniot Cover Mk2 is hand made in Holland using fine wood that has been rounded in all directions for smooth edges. It features a self-aligning magnetic wood hinge, automatic sleep and wake functionality, Ultrasuede interior lining and the ability to roll into a stand for different viewing angles. The Miniot Cover Mk2 is available now in six different types of wood species. Cough up $90 (€69), and you've got yourself one amazingly unique, real wood Smart Cover replacement guaranteed to give you a woody. There's been quite a bit of confusion as to whether current iPad 2 cases fit the new iPad 3rd Gen being it is only 0.6mm thicker. Gadgetmac has learned that iPad 2 cases such as tight fitting hard plastic shell snap-on cases will absolutely not fit the new iPad 3rd Gen. Folio cases with frame style enclosures are a lot more forgiving and have plenty of spare room in order to fit the newly designed iPad 3rd Gen. On the other hand, there are iPad 2 folio cases with hard polycarbonate shells for attachment which aren't compatible as well. So in that regard, iPad 2 folio cases and all the different types of sleeves are indeed compatible with the more chubby iPad. As for silicone and semi-rigid TPU style cases, we recommend waiting until manufacturers release ones that are specifically designed to fit the new iPad. Griffin has announced its not so new lineup cases for the new ipad 3rd gen including the ever so tough Survivor case. At $80, the Survivor is Griffin’s most protective iPad case yet, designed to meet and even exceed US military standards. The Survivor features a shatter-resistant polycarbonate frame, clad in rugged, shock-absorbing silicone and comes with a clip-on stand for typing and viewing pleasure. This combination of materials protects against dirt, sand, rain, shock, vibration, and a host of other environmental factors thanks to built-in port covers and a built-in screen protector. The case is available in Pink and Black right now along with a few of Griffin's other new iPad case offerings like the InteliCase at $60. The IntelliCase is a folio style case that features a hard polycarbonate back shell with a protective Smart Cover-like flexible front cover that folds up into a stand for multiple uses. 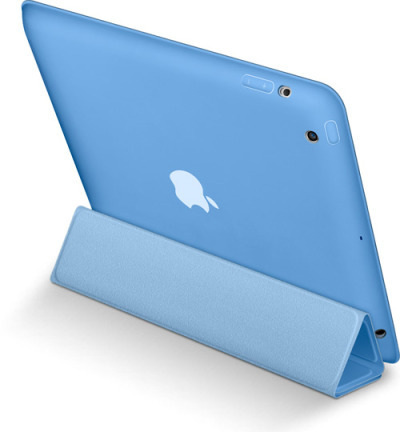 It's available now in four colors for both the iPad 2 and the new iPad 3rd gen. Despite the fact that the new iPad is slightly thicker than the iPad 2, many case manufactures insist that their current cases made for the Pad 2 will fit just fine.